I’d Like to start now too but ours are also way too big! We had the same problem (and still do to some extent) with Edith being so tiny. 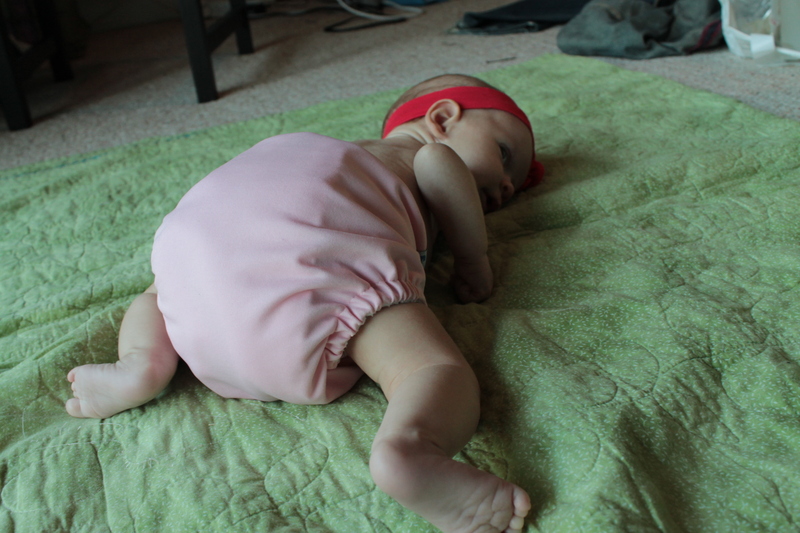 The Workhorse diapers in the newborn size have worked out really well for Edith as far as size goes. 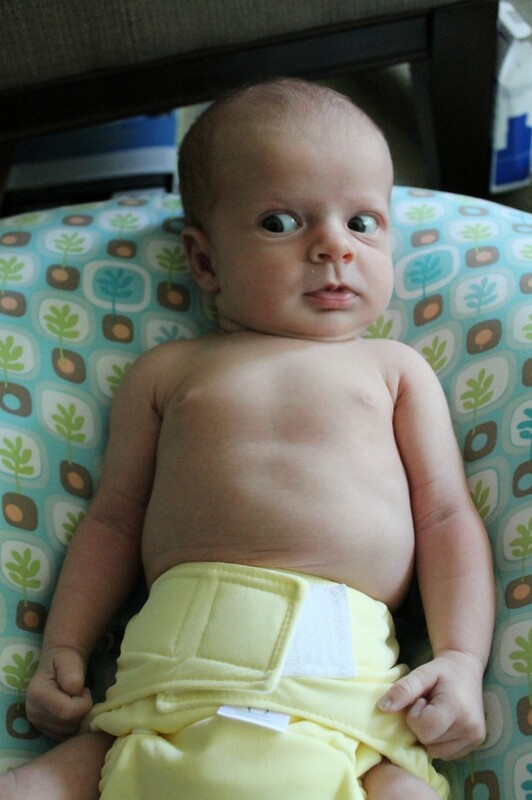 I love that you have so many different types of diapers that you are reviewing! It’s very helpful. 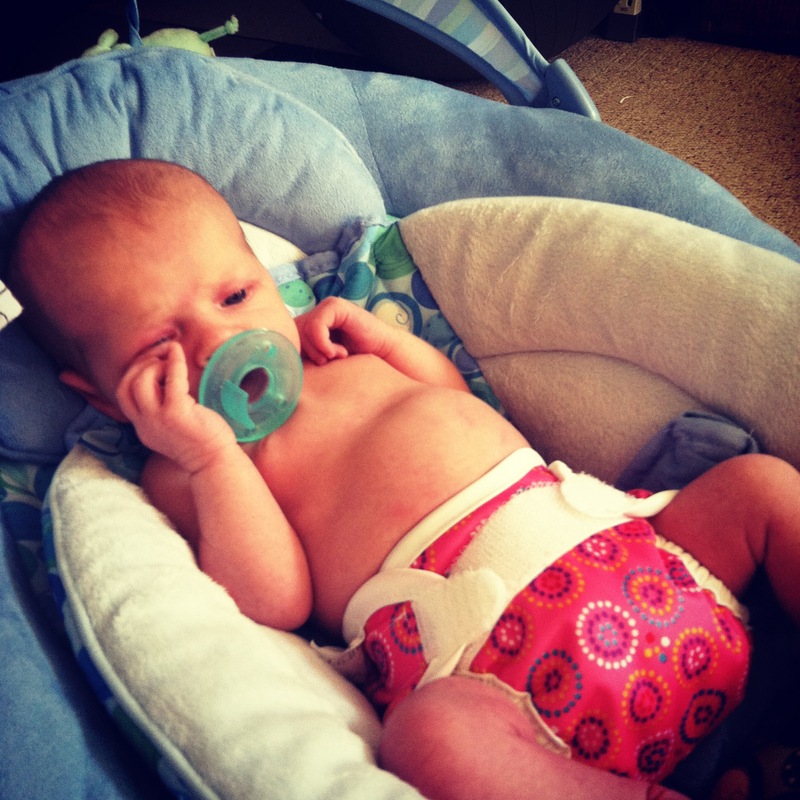 We just started cloth diapering at 8 weeks – I didn’t buy any newborn diapers so we had to wait for Amaliya to get big enough. We’re using flip covers (a mix of velcro and snaps – the snaps fit better) and Fuzzibuns one-size. Both seem to work well though are still bulky on her, even snapped up to the smallest size, and she’s 11lbs! We’re also still using disposables at night… not sure what kind of diaper would be best, I guess we’ll figure it out through trial and error. Good post, with lots of info for prospective cloth diaper users. Sorry to hear that the Bummis haven’t worked for you. When I was researching cloth options before we bought, I was leaning towards Bummis at one point, and then when I went into our local boutique to check options out in person, I decided on AppleCheeks instead. Glad I didn’t invest in Bummis after reading your feedback about them. I’m surprised that you are having fit issues with the AppleCheeks cover with Edie being up to 9 lbs. We have used them exclusively on Erich since he was 2 days old, literally the minute he was released from the NICU. He was about 6.5 lbs at that stage and was a tiny fella for the next few weeks. The keys to a good fit are to stretch the leg elastic out fully and then pull it in to snap, always snap the bottom snap near the leg before the upper waist snap, and pull the wing tips way up once snapped to ensure a snug fit around the legs. Also, stuffing is totally optional. We didn’t start stuffing until recently, as we just find it easier to change a stuffed diaper now that he is crazy strong. The Applecheeks fit her well in the legs and waist- its just huge on her in the sense it makes her super bottom heavy.